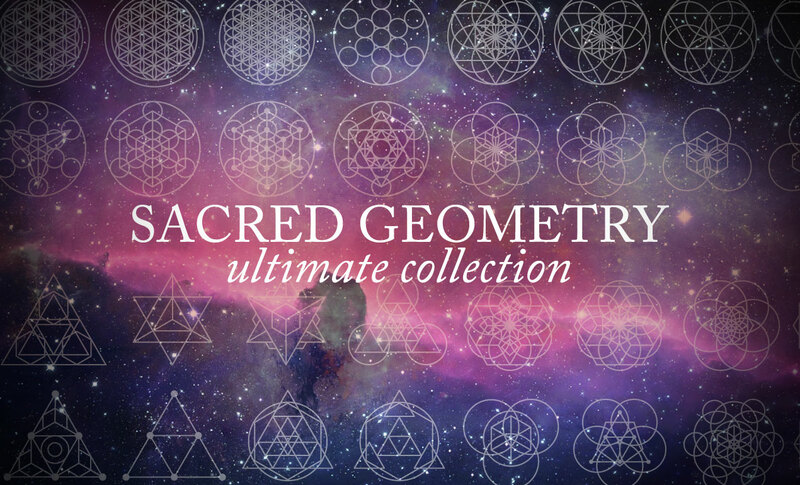 Download this amazing collection of Sacred Geometry vectors for Adobe Illustrator or Adobe Photoshop. What you see above is what you get. 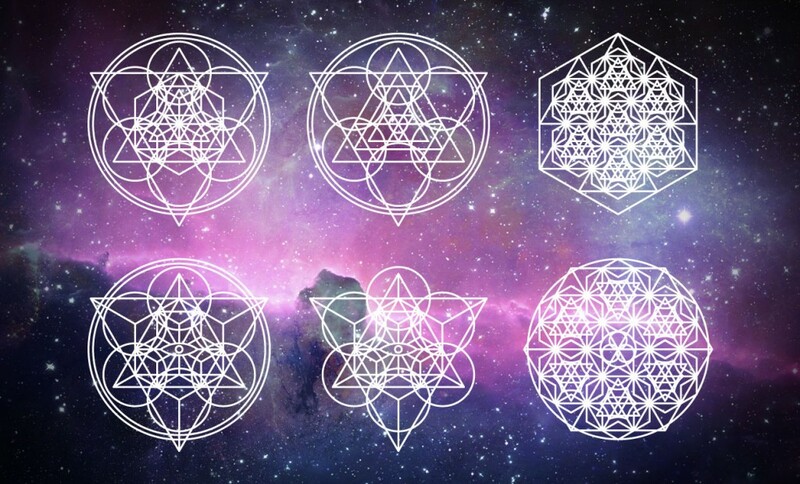 Sacred Geometry is a term for beautiful geometrical shapes and patterns you see in nature. It’s seen as the building blocks of life and is even included in our DNA! 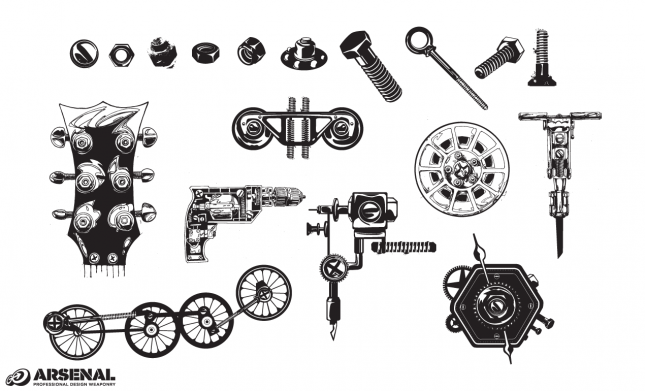 Designs are based on mathematical ratios and patterns including Phi and the Fibonacci Sequence. Illustrator users, you will be pleased to know that these are NOT outlined, but they INCLUDE STROKES and contain all of the basic shapes that each design was comprised of. 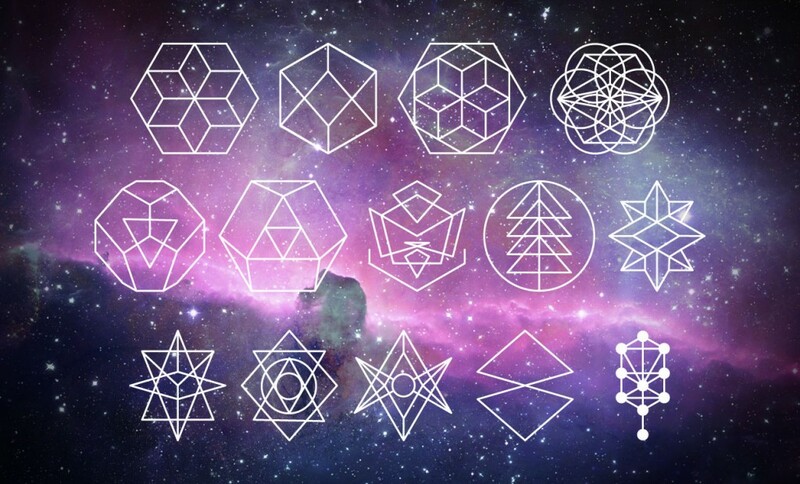 This means, you can break apart and customize each design in an infinite number of ways. 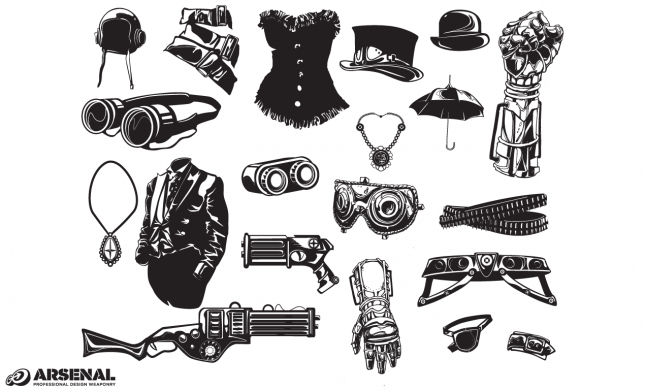 This gives you the most amount of creative freedom to turn these designs into anything you can imagine. 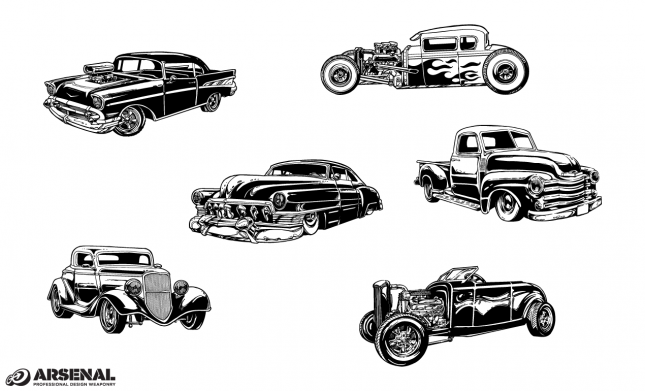 Design Hint: Turn on Smart Guides to keep things aligned when customizing these images. The Vesica Piscis – two circles of common radius, intersecting each other at their centers. Symbolizes an almond, Jesus fish, an eye, or a womb. 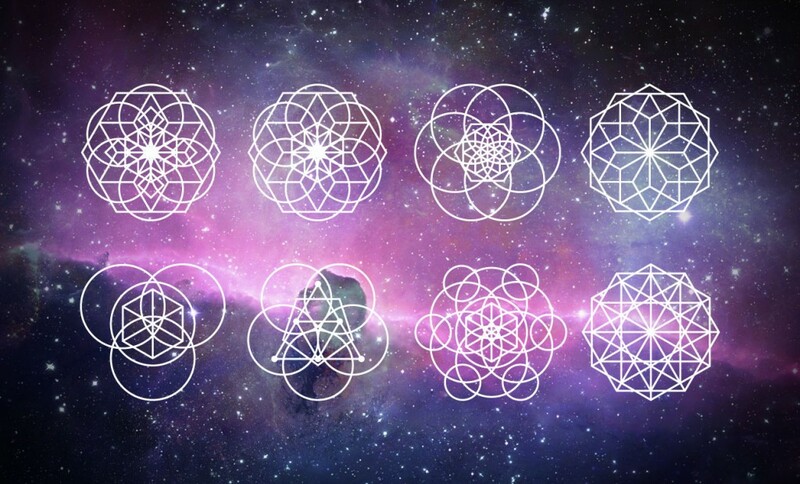 The Flower of Life – A “Flower of Life” figure consists of seven or more overlapping circles, in which the center of each circle is on the circumference of up to six surrounding circles of the same diameter. 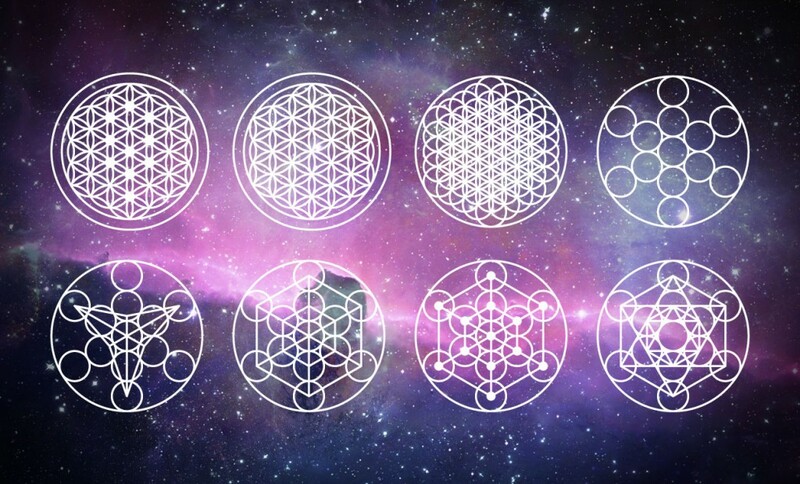 However, the surrounding circles need not be clearly or completely drawn; in fact, some ancient symbols that are claimed as examples of the Flower of Life contain only a single circle or hexagon. 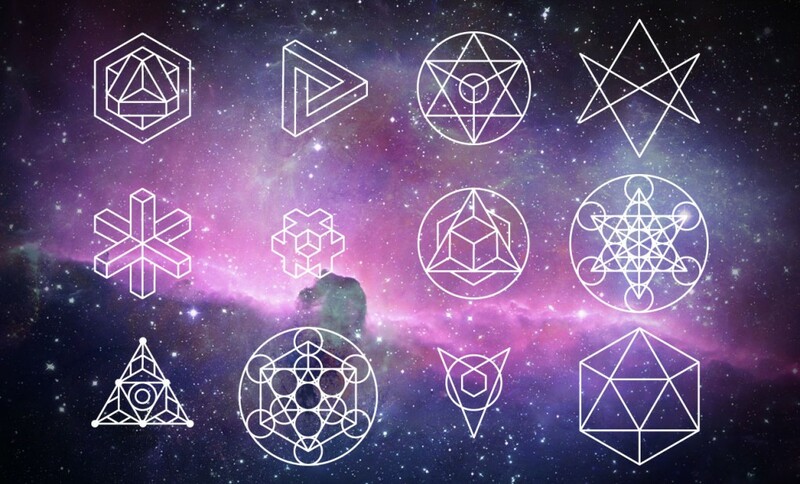 Platonic Solids – In Euclidean geometry, a Platonic solid is a regular, convex polyhedron with congruent faces of regular polygons and the same number of faces meeting at each vertex. Five solids meet those criteria, and each is named after its number of faces. 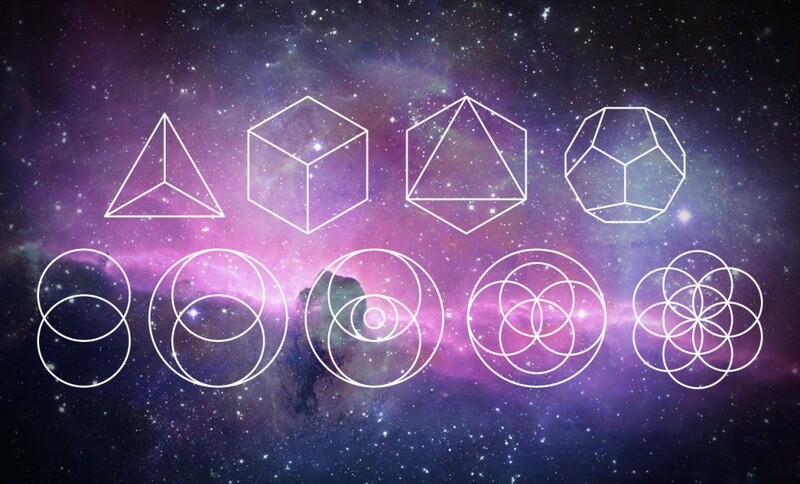 Examples are the tetrahedron, the cube, the octahedron, the icosahedron, and the dodecahedron. 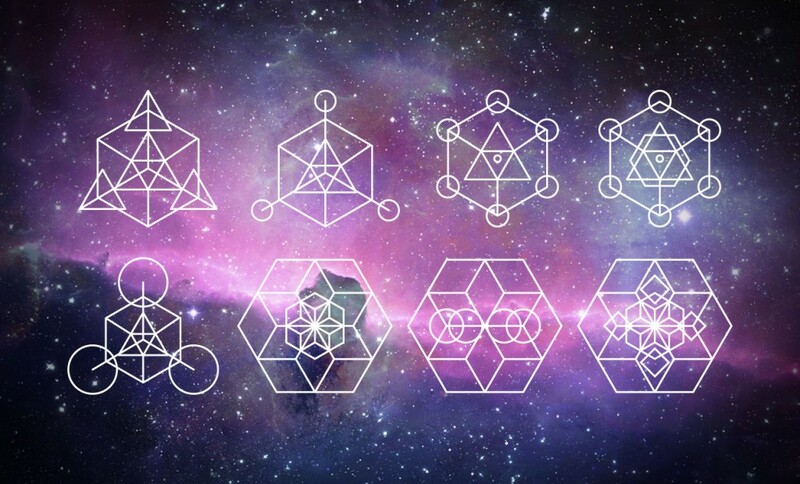 Metatron’s Cube – a name for a geometric figure composed of 13 equal circles with lines from the center of each circle extending out to the centers of the other 12 circles. Some New Age teachers call a variant of this figure the Fruit of Life. 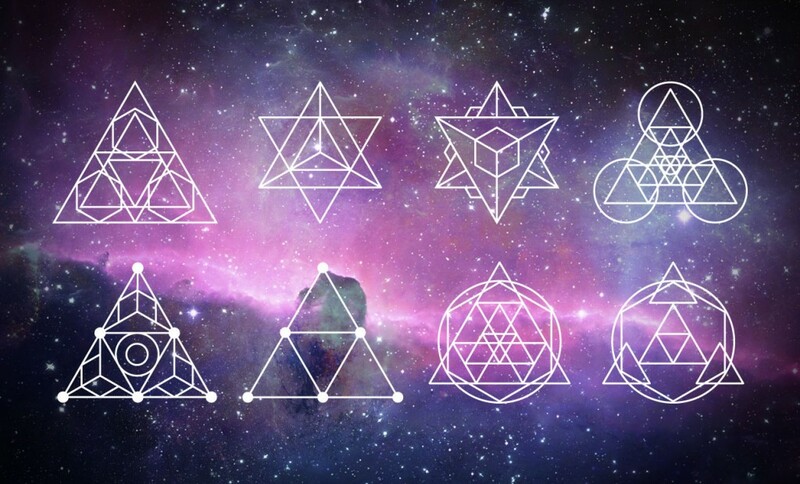 The Tetractys – a triangular figure consisting of ten points arranged in four rows: one, two, three, and four points in each row, which is the geometrical representation of the fourth triangular number. As a mystical symbol, it was very important to the secret worship of the Pythagoreans. It is considered foundational to building sacred structures such as temples, mosques, megaliths, monuments and churches; sacred spaces such as altars, temenoi and tabernacles; meeting places such as sacred groves, village greens and holy wells and the creation of religious art, iconography and using “divine” proportions. 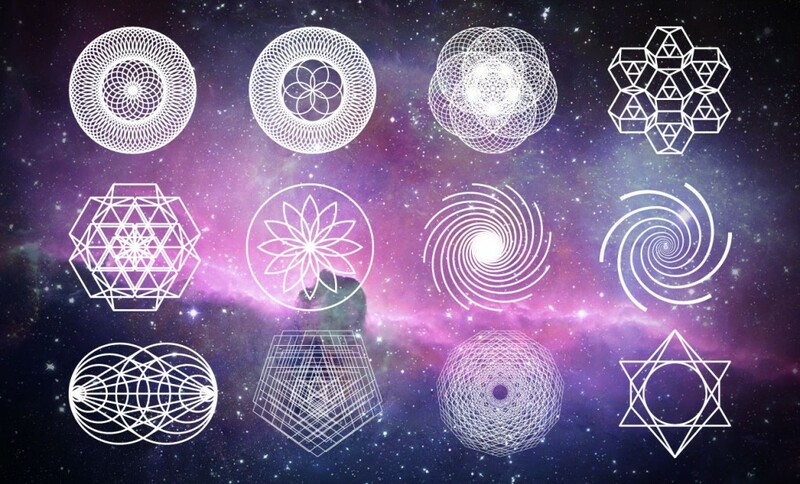 Alternatively, sacred geometry based arts may be ephemeral, such as visualization, sand painting and medicine wheels. 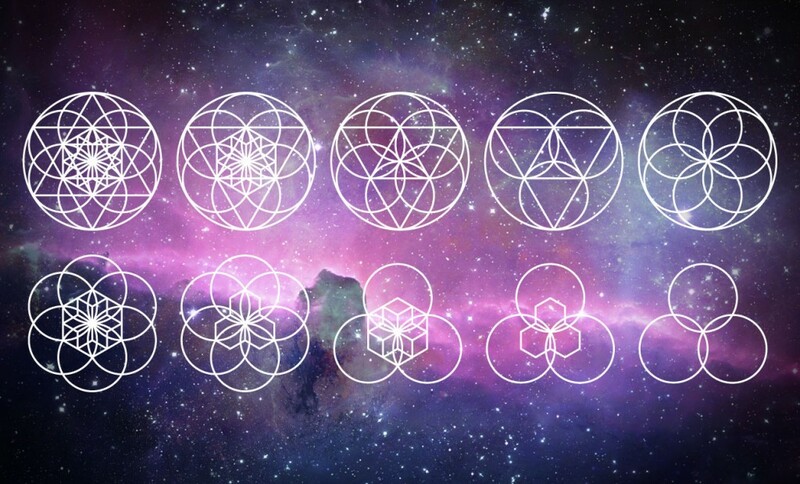 Sacred Geometry is a term used to describe patterns, shapes and forms that are part of the make up of all living things and that regularly occur in nature. 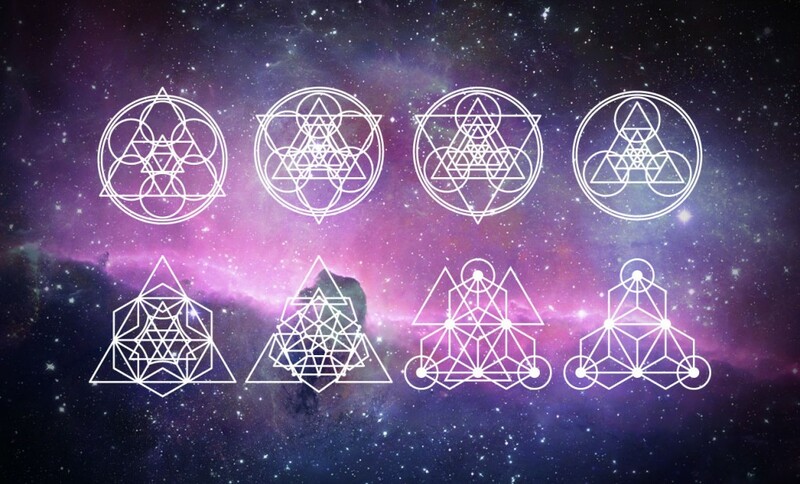 It is system of universal design in which the energy of creation organizes itself into form. 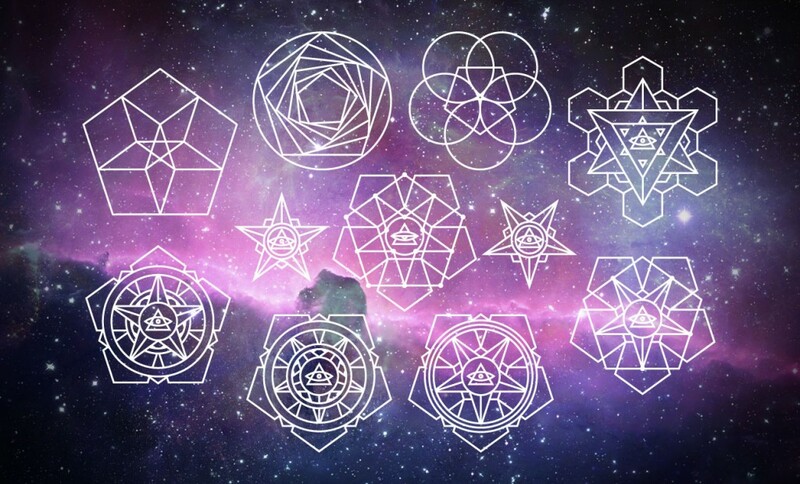 The magical realm of sacred geometry expresses itself in the beautiful patterns of creation seen in snowflakes, crystals, flowers and pinecones.